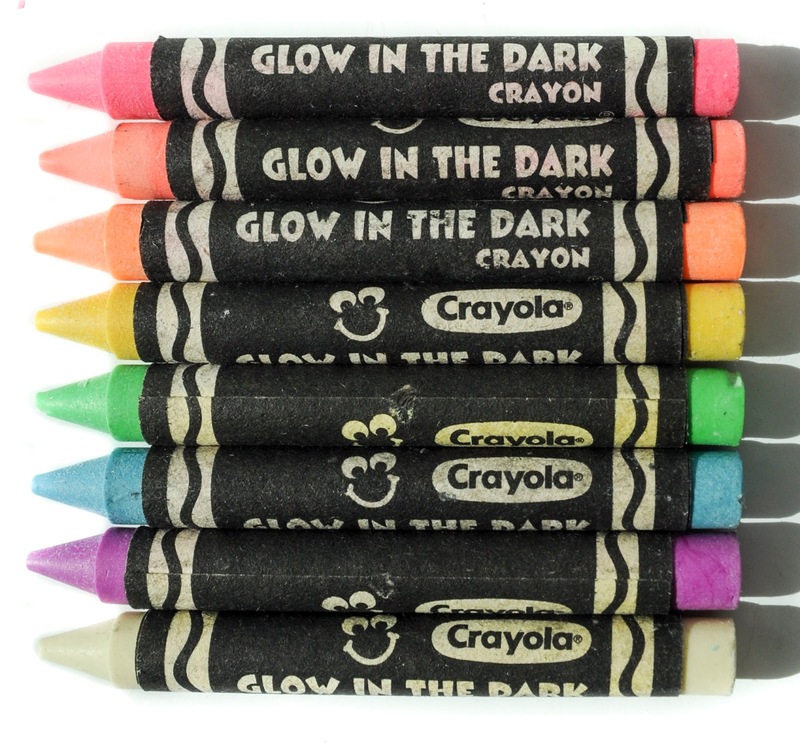 Crayola came out with the glow in the dark crayons in 1994. The concept was all thee crayons would glow in the dark. 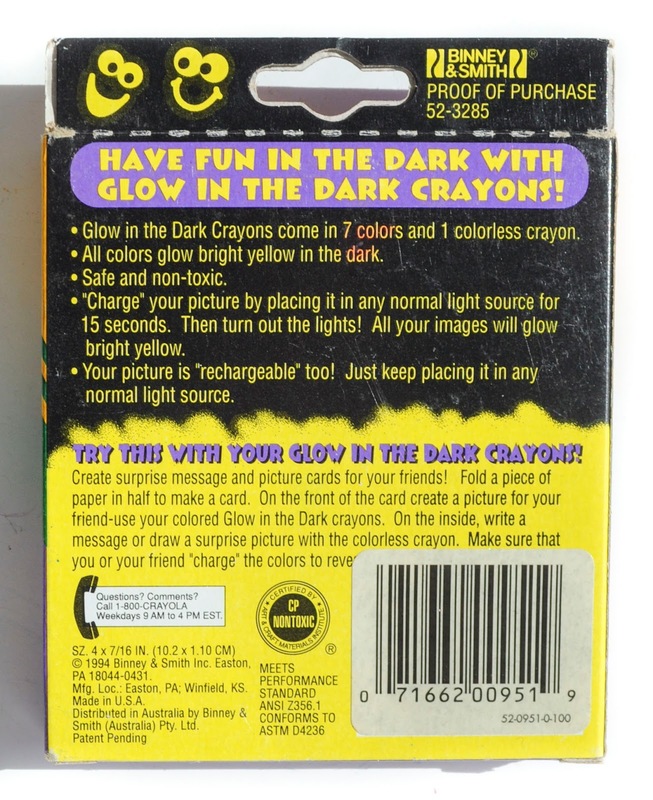 The back of the box says it comes with 7 colors and 1 colorless crayon. All the crayons glow yellow in the dark. The crayons need to be charged by placing it under light for 15 seconds. It is interesting to note that Crayola encouraged secret messages to friends. They said "create surprise message and picture cards for your friends! On the inside, write a message or draw a surprise picture with the colorless crayon." I was so excited to pick up this pack of crayons. Click here to search for these on ebay. Other Boxes: There are other boxes. 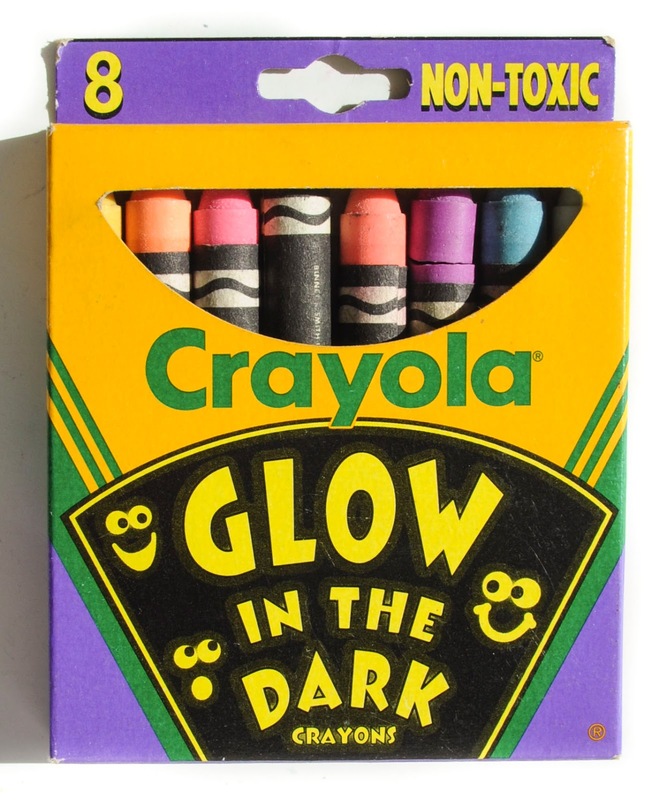 These were the first box of glow in the dark crayons. Later they expanded the crayons to glow orange and yellow.